The Nagaland government suspended Inspector general of police (CID) Richard Yimto for possession of a seized consignment of drugs in his home. Sources said an FIR was lodged against Yimto in this connection. An order issued by Nagaland home commissioner Abhishekh Singh on Thursday said the Governor in exercise of power conferred under Rule 3 (1) of All India Services (Discipline and Appeal) Rules, 1969 ordered supspension of Yimto with immediate effect. Yimto, during the period of suspension, will be entitled to subsistence allowance of an amount equal to the leave salary he would have drawn if he had been on leave on half average pay and dearness allowance and other allowances on the basis of such leave salary, the order said. On August 25, Nagaland director general of police T.J. Longkumer ordered state ADGP (law and order) Renchamo P. Kikon to make a preliminary enquiry to ascertain the facts of the case. The ADGP in his report to the government on October 17, which was received on October 22, revealed involvement of Yimto in case by flouting due process of law. The report said there was no general diary reference on the seizure and no criminal case was registered. It also said the two persons from whose car the contraband was seized were released and the vehicle too was released on Zimmanama. The seized contraband brown sugar was kept in the personal custody of Yimto and not in the malkhana of the narcotic cell of the police headquarters. A team led by a sub-inspector of narcotics cell of Nagaland police seized 6.9 kg of brown sugar from a car coming from Manipur at Khuzama check post near inter-state boundary with Manipur on August 3. Two persons were detained in this connection. However, no case was registered against them. Interestingly, they were let off after they promised to return with the kingpin of the drug business. Yimto reportedly took the consignment home from the state police headquarters on August 17, claiming that it was not safe to keep it there. He was on leave since mid-September. ADGP Kikon seized the drugs from Yimto’s residence on September 1. 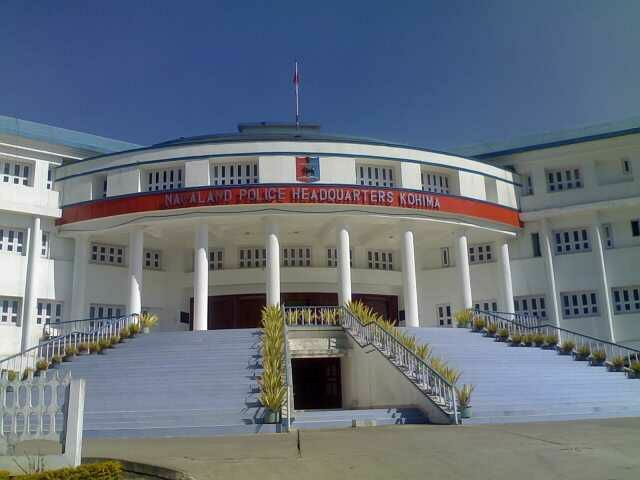 The Nagaland police headquarters, in a release on October 16, said Yimto himself informed the DGP via a written explanatory note explaining the long time lapse and non-registration of case. The state police chief also ordered that the narcotics be seized officially from Yimto as it had not been done earlier. The drugs were seized from Yimto’s house on September 1. The DGP then issued a show cause notice to Yimto to explain reason for his conduct. Accordingly, Yimto gave his reply later. Basing on the facts of the case and the preliminary enquiry report submitted by the ADGP and the response to the show cause notice served to Yimto, the state police headquarters submitted a report to the government.